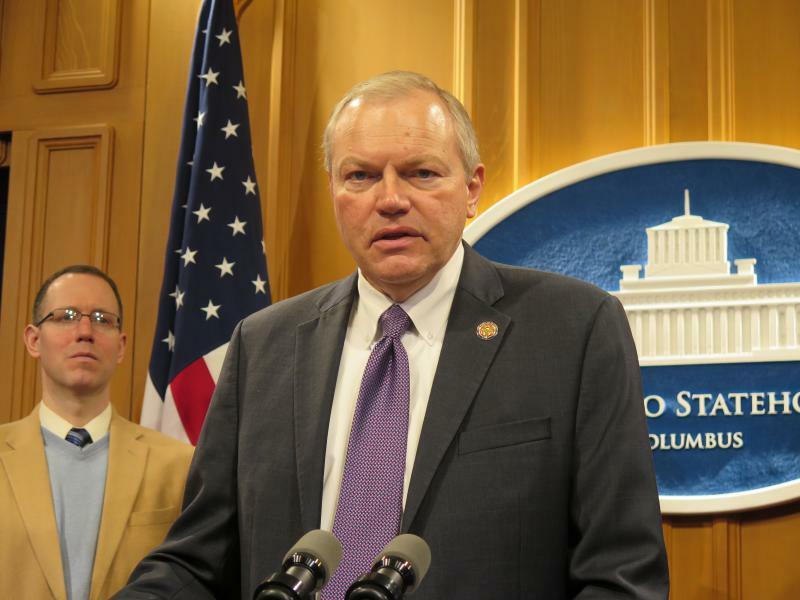 Rep. Lou Blessing III (R-Cincinnati) looks on as Rep. Bill Reineke (R-Tiffin) talks about House Bill 512, which would merge K-12, higher ed and workforce development together to create the Department of Learning and Achievement in February. 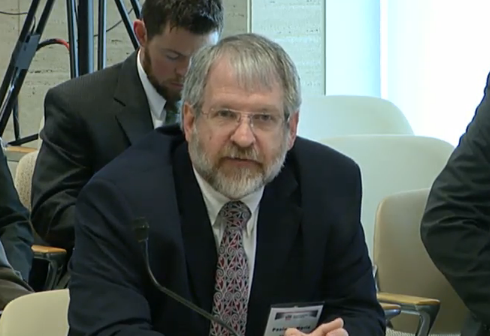 The controversial proposal to merge K-12, higher education and workforce development into one big cabinet level state agency won’t go forward any time soon. The plan was backed by some Republican lawmakers and Gov. John Kasich, but had lots of opposition. 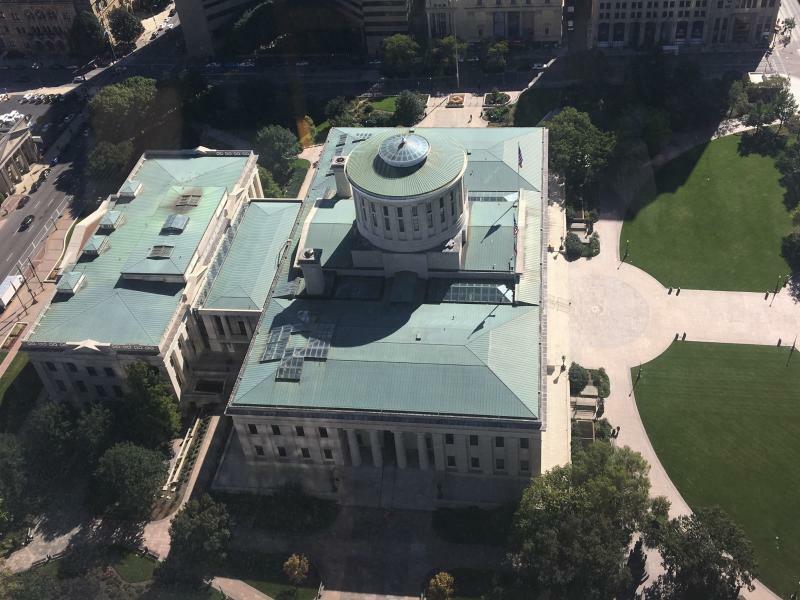 The bill would bring the departments of Education, Higher Education and the Governor's Office of Workforce Transformation into one agency essentially controlled by the governor. 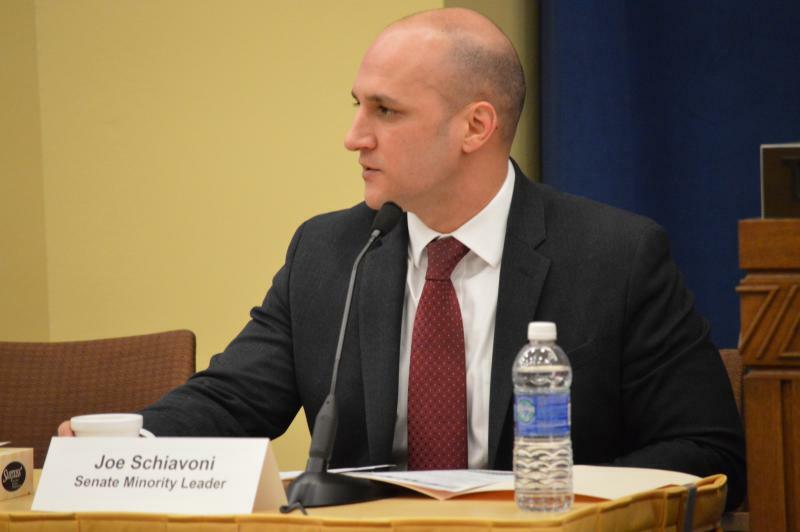 Rep. Lou Blessing III (R-Cincinnati) chairs the committee looking at the bill, and said he’s planning no more hearings on it in its current form. “After we have had four or five hearings, and heard quite a bit of opponent testimony, we figured it was probably best to pump the brakes on this and go back to the drawing board,” Blessing said. Rep. Bill Reinecke (R-Tiffin) is the sponsor, and has said a substitute measure is in the works. The plan is opposed by the state school board, public school organizations, teachers’ unions and homeschool groups. 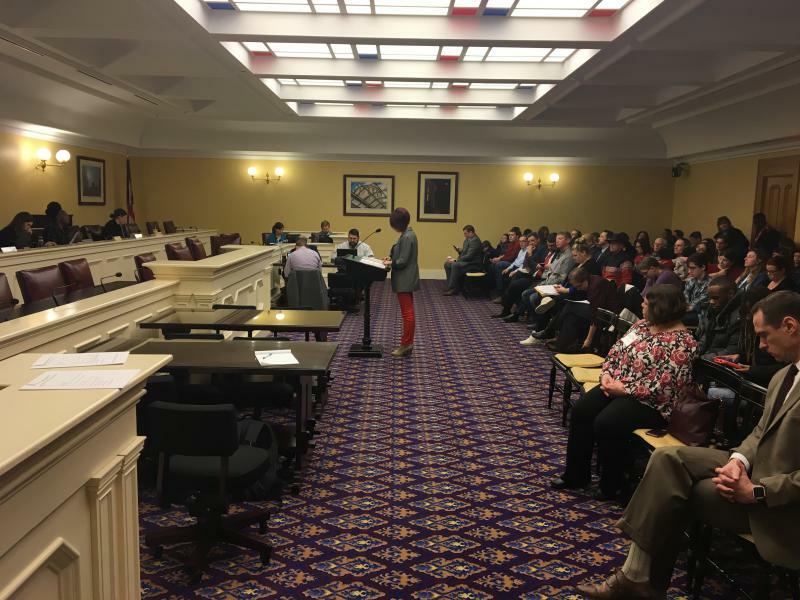 A House panel listened to hours of testimony against a plan that would overhaul the state’s education system. The proposal would consolidate departments into one large education agency which answers directly to the governor. Many of the people lined up to speak against the bill are parents who homeschool their kids. House Republicans are defending the proposal that would merge several departments into one large education agency which would report directly to the governor. Elected local school boards are sounding off on how it would change the state board of education. 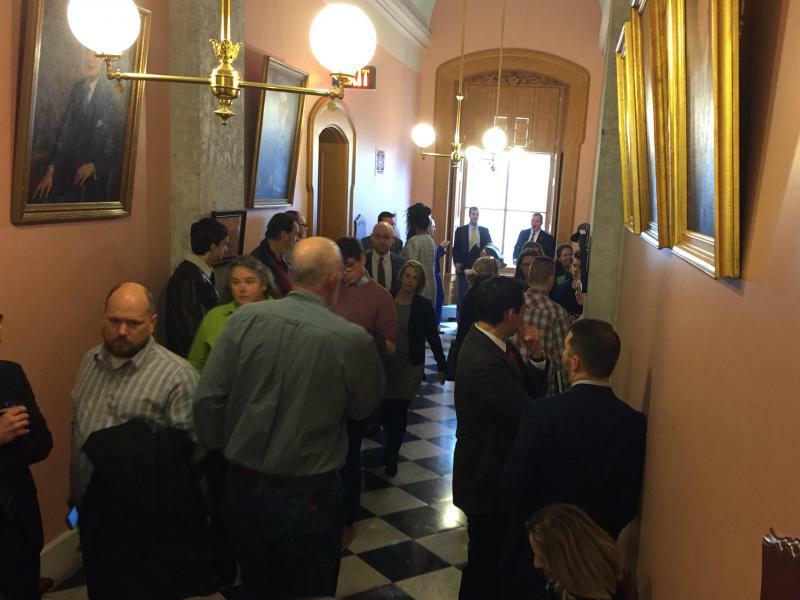 The Statehouse was packed with people to testify against a proposed overhaul to the education system. The plan would hand the reins of the education department over to the governor. The latest committee hearing attracted opponents from several angles.